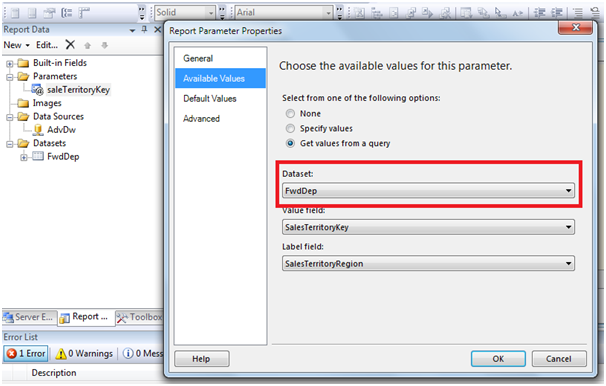 It has been seen many times developer’s who are new to SSRS experience this issue (Forward dependencies is invalid). 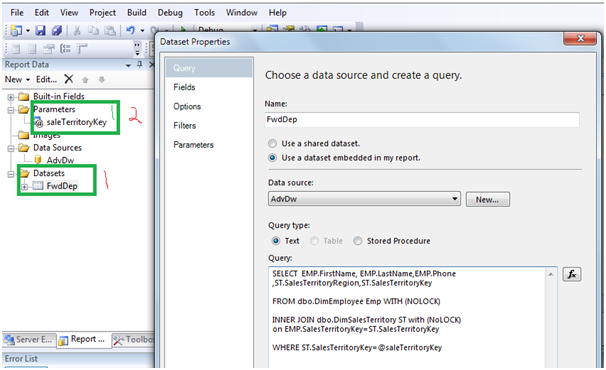 In this example I have used the AdventureWorksDW database . 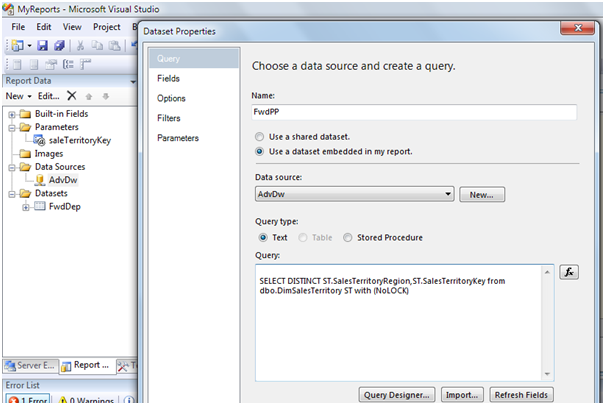 Select get values from query , See carefully on below image red circled field. Here we are passing the value to parameter from resultset Dataset to result Dataset which is creating Forward Dependencies. 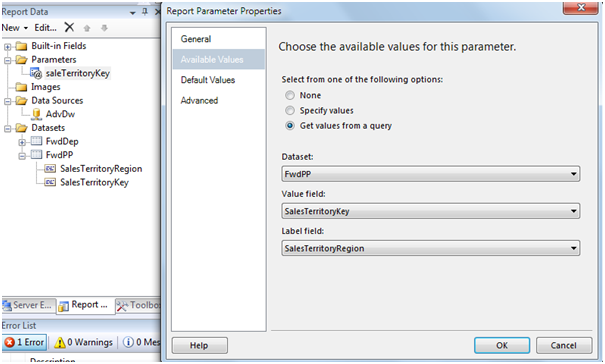 Now go to you parameter folder right click on your Saleterritory parameter . Dataset: FwdPP . the vales from this dataset will be passed to resultdataset FwdDep. 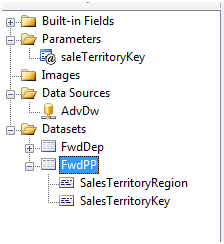 Value field : Which will be passd to resultset parameter i.e (WHERE ST.SalesTerritoryKey=@saleTerritoryKey) in resultset datset sql. SaleTerritoryKey from FwdPP will be passed to FwdDep. 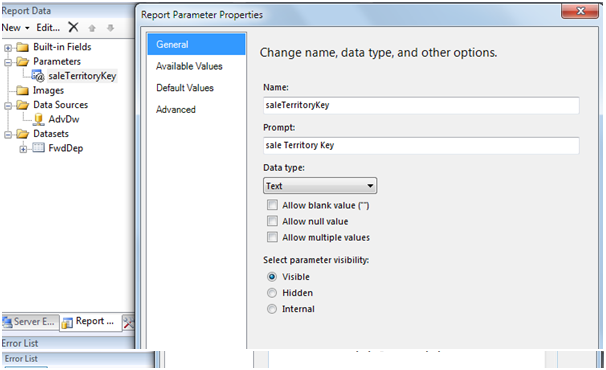 Now you preview your report select the value you will get report as your selected parameter.